IICF invites insurance professionals to impact their local community as volunteers during Week of Giving. Volunteer as a part of a company team or as an individual; all are welcome to participate in the insurance industry's largest, annual volunteer initiative. Together, we can make a difference! Most volunteers participating in the Week of Giving do so as part of a company team. It is a wonderful opportunity for team building and community engagement. To streamline the coordination of Week of Giving, company volunteer teams are asked to designate a Volunteer Team Leader. The Volunteer Team Leader registers their volunteer team on the Week of Giving website and selects a volunteer project with a community nonprofit for their team to complete. The Volunteer Team Leader also handles communication with the community nonprofit leading up to the day of the selected volunteer project. IICF has compiled some wonderful volunteer resources to assist your organization in coordinating a volunteer team and successfully signing up for a volunteer project. 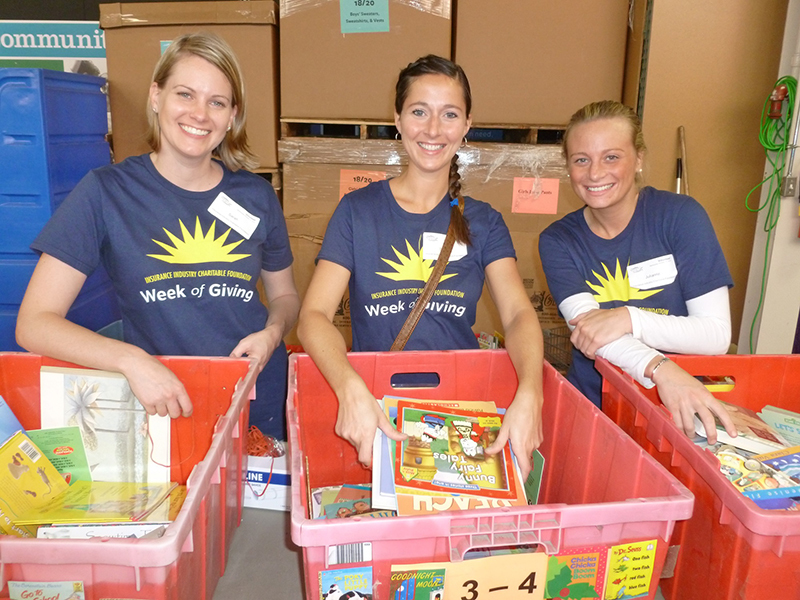 IICF welcomes the participation of individual volunteers looking to give back through Week of Giving. Participating in Week of Giving is easy. Simply register as a volunteer, search volunteer opportunities and sign up for a volunteer project. For assistance with registration or questions about projects, please call 424-253-1107 or email contact@iicf.com.